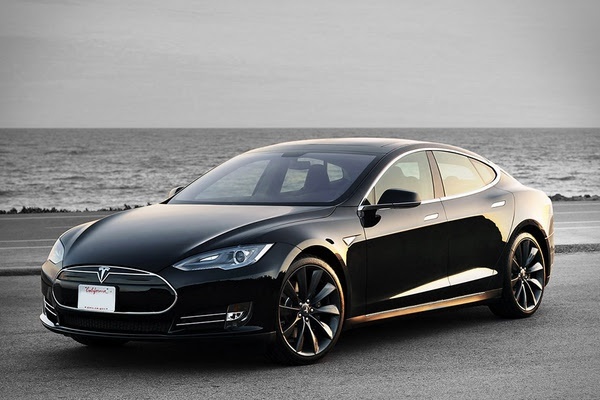 The Getaround Team is constantly working to create a seamless and reliable carsharing experience. Today, we’re excited to announce a new set of features specifically designed to build a bigger, stronger Getaround community: revamped user feedback, walk-around inspections and trusted renters. Combined, these new features will provide our team with the insight they need to react to community issues as they arise, creating a more consistent and reliable car sharing experience. Renters are now asked to rate each trip on a 4-point scale. If a renter indicates the trip was “Okay” or “Bad”, they will be prompted through a series of direct questions about their experience and a support ticket will be filed for our team to review. 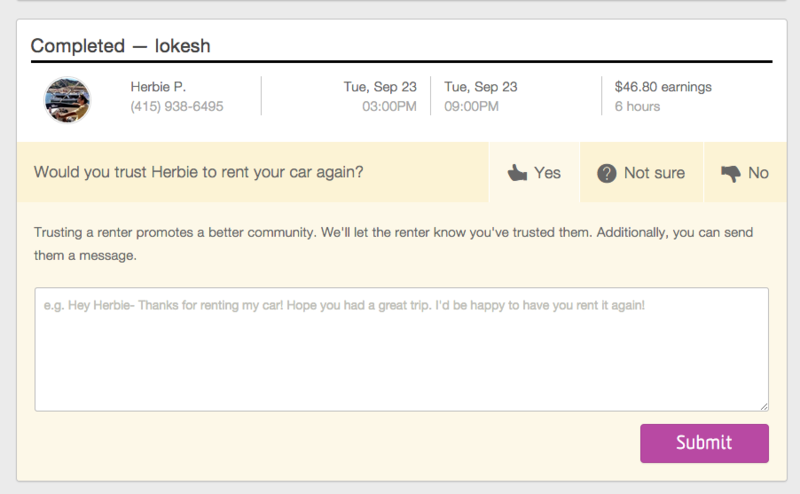 If a trip is rated as “Awesome” or “Good”, renters will be able to leave a message for the owner of the car. With this feature, we hope to reinforce positive behavior in the Getaround community, while providing us with the insight we need to resolve issues in realtime. For all the details on our new renter feedback system, check out our Helpdesk article. At the start of each trip, renters will be prompted to file a quick inspection of the vehicle through their Getaround app. 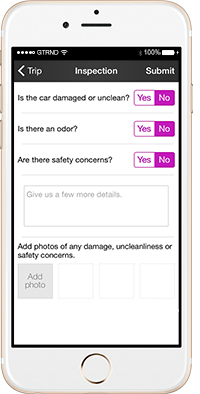 This report includes information on any safety concerns, the car’s cleanliness and also gives renters an opportunity to submit photos of the car’s gas levels and mileage. Each report is submitted directly to our Customer Happiness Team who will follow up as needed. While Getaround owners are still required to check on their car between trips, these inspection reports make it possible for our team to review a car’s condition over time in order to help identify when any damage or safety issues first occurred. This feature is currently only available in our mobile apps. For all the details on our in-app inspections, check out our Helpdesk article. At the end of each trip, owners are now prompted to let our team know if they trust a renter to rent their car again in the future. If an owner selects “Yes”, renter will receive a notification letting them know they’ve been trusted with an optional note from the owner. If the owner selects “No”, a support ticket will be created and our Customer Happiness Team will review the renters community standing. If an owner is unsure, they can opt to say so, which will simply prompt them to review the renter the next time they book a trip with that car. For all the details on trusted renters , check out our Helpdesk article. Getaround is bringing the future of car sharing to the nation’s capital–giving D.C. residents a new way to unlock their car’s value through sharing.